in a historic settlement, the federal government will pay the Navajo Nation more than half a billion dollars to settle claims that it mismanaged reservation funds for more than 60 years, the tribe and the government announced Wednesday. At $554 million, the settlement is the largest obtained by a single American Indian tribe against the U.S. It caps a drawn-out dispute filed in 2006 with the U.S. Court of Federal Claims. 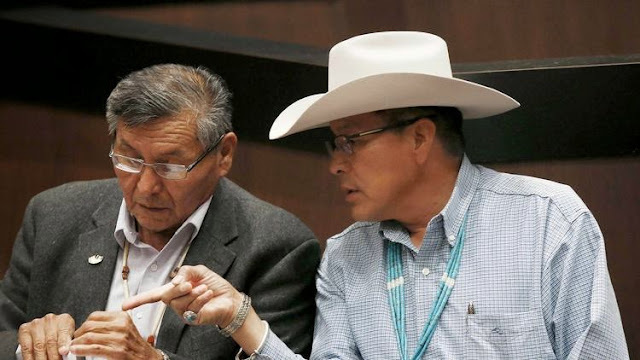 The settlement goes a long way toward repairing some of the “wrongs that have been done against the Navajo people,” said Rick Abasta, a spokesman for the Navajo Nation. But it also serves a more practical purpose, he said.